Every week I create multiple projects from each webinar that need to be exported. And, each week, I do this one at a time. Boring. New with the 10.4.4 update to Final Cut, Apple delivered a feature that I’ve been hoping for since my first export: the ability to export multiple projects at the same time. NOTE: I always export Master files so I have a high-quality version for archiving. 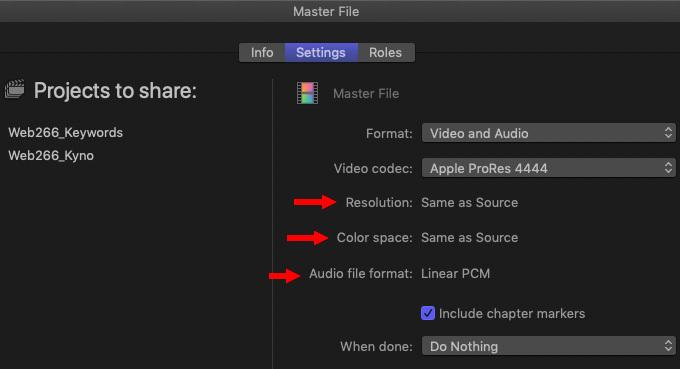 However, you can share multiple files to either a Master File, Compressor or any destination supported by Final Cut. 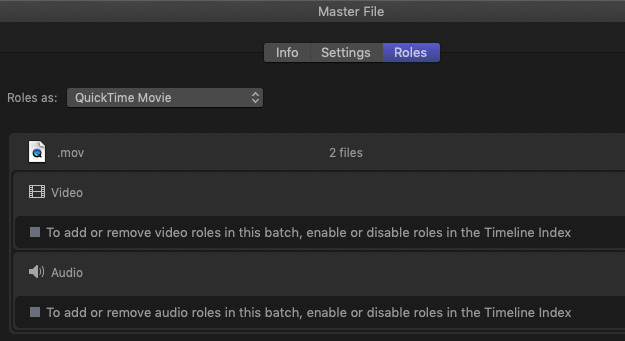 This is a welcome addition to Final Cut. While the earlier system wasn’t bad, this is both faster and more intuitive. It’s unfortunate this doesn’t work with Multicam clips. I film a decent number of interviews and get back to the office, sync them up and export them out with timecode to deliver to the client to review. I still have to open up each Multicam clip in the timeline and then export it from there. It looks like the only way to get this to work would be to create a project for each interview which takes more time than the method described above. 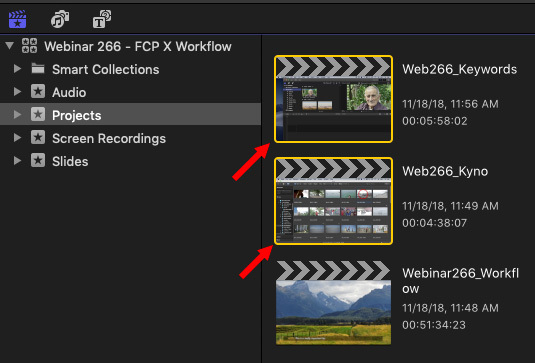 I’ve been looking for the best method to export and upload multiple big FCPX projects to Youtube or Vimeo overnight, so far the bottleneck is the need for FCPX to export, then upload each video before moving on to the next. 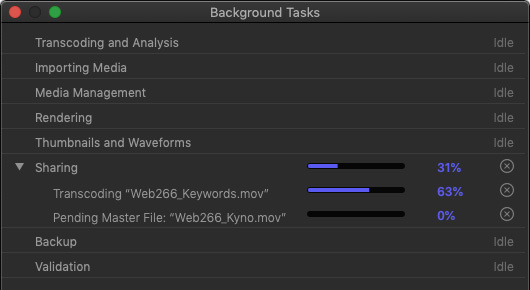 For big files this can add a lot of time – the export I’m doing now is 6 hours of video, and I don’t know how long it will take in total. If I want max efficiency I would have to batch export them with Youtube settings via Compressor, then upload each one individually as it finished… that would be the fastest, but couldn’t be left on its own. Keep in mind that you can set Compressor (or the Compressor setting in FCP X) to both compress AND upload the videos at the same time. This means that you could create a batch, export the batch, compress the batch and upload the batch all automatically, with no additional human intervention. What might be even faster is using two computers – one to export and the other to compress and upload. It’s what I have here in my office – an iMac for editing, a Mac mini for compression and uploading.